The Boudhanath Stupa is a holy shrine for Buddhists. 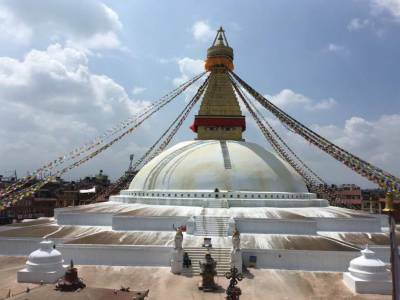 The Boudhanath Stupa is easily accessible by cab/taxi from the Thamel in Kathmandu of Nepal. The site is very impressive and the atmosphere is very spiritual. Visitors can get the divine feeling all around the Stupa, the prayer wheels, incense and Buddhist monks chanting and praying. Boudhanath stupa is a heritage site and scared place of Buddhist and is build during the 5th century AD. 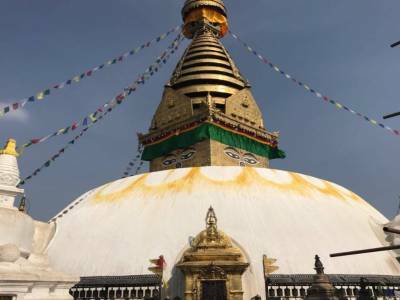 Boudhanath Stupa is located on a mountain top in the town of Boudha, on the eastern outskirts of Kathmandu with spectacular views of the city. 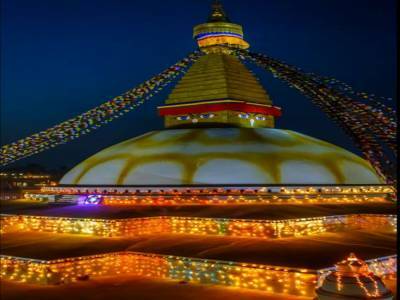 It is a largest stupa in Nepal and 350kg of gold adorning the top. The top looked like an eyes and a nose. They eyes are on all 4 circle of the top of stupa, known as Buddha and wisdom eyes. It is a center for tibetan refugees and Buddhists from all over the world and still a kind of economic and spiritual center for Tibetans outside of Tibet. There are plenty of tourist shops surrounding the stupa, plus ample restaurants and cafes for those needing a break, or just wanted to relax in this place. 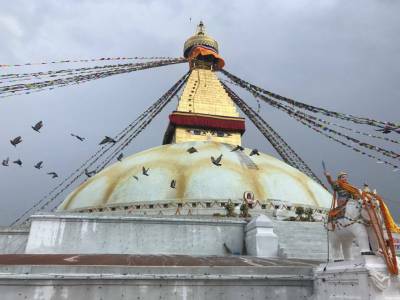 The Boudhanath Stupa is a must visit place when you are in Kathmandu, particularly know that it has been re-constructed and repaired after the earthquake of 2015. 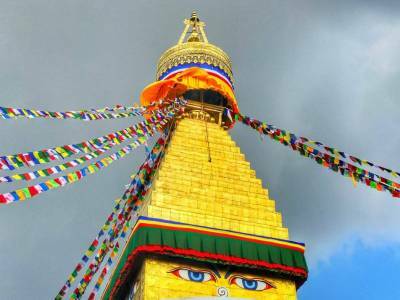 Get quick answers from travelers who visit to Boudhanath Stupa.